The mobile browser wars continue. Hot on the heels of Opera’s second Beta of Mini and Mobile and UCWB’s version 7 release, Bitsream today announced that Bolt 1.6 is now available for download. If you are running a previous version of Bolt, you should be prompted to upgrade. 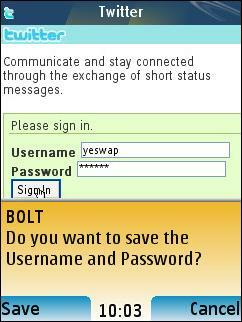 New users can point their mobile or PC browsers at boltbrowser.com to download Bolt 1.6. For all mobile data networks that support it, BOLT 1.6 now offers full socket-based connectivity which can increase the page rendering speed of BOLT by as much as 15 percent. BOLT 1.6 also includes a new password manager, allowing usernames and passwords to be saved by the browser for easier and faster logins to users’ favorite websites and online applications. Responding to a frequent request from BOLT’s BlackBerry smartphone users, BOLT 1.6 can now be set as the default browser on their smartphones. A version of BOLT created specifically for BlackBerry smartphones not only has all the features of BOLT, but also includes default BlackBerry shortcuts and optimizations. The password manager is a great addition. Retyping passwords on most phones is a pain, especially as many sites, like Yahoo, do not properly persist logins using a long lasting cookie. The password manager means that you should never have to retype your password. Bolt 1.5 already had a socket transport option in Preferences, so I’m puzzled as to how that is a new feature. Perhaps 1.5’s socket implementation was less than “full”? However as long as it’s faster I’m not complaining. I didn’t run any formal speed tests but 1.6 does seem to load pages a little quicker than 1.5. Being able to set Bolt as the default browser is a huge plus for BlackBerry users. I wish that option was available on other platforms although I understand that on S60 and most feature phones it is impossible due to OS limitations. I’m also hoping that an Android release is in the cards. I think that Android has a great future but that the default browser with its broken cache implementation and many render issues is holding the platform back. I notice that @boltbrowser Tweets about Android a lot. Is that a sign of Droid interest at Bitstream headquarters? This entry was posted in Browsers by Dennis Bournique. Bookmark the permalink. BOLT BROWSER for BLACKBERRy is an EXCELLENT choice if your looking for a 2nd web browser for you Berry! Been using Bolt on a Nokia 95 8GB since it was in Beta. 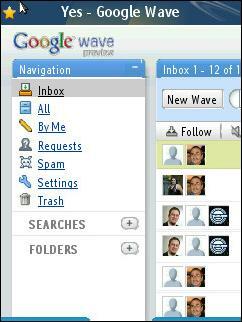 Been trying Nokia’s browser, Skyfire and Operas, mini and mobile. Never found another mobile browser able to manage [organize,move,delete,rename,copy-paste,find-in-page] pages, bookmarks and bookmark folders as Bolt does. Everything IE8 or Firefox 3.6 do Bolt does. Aside from that it’s clear, simple, no fancy stuff and very fast. Won’t buy a new phone before making sure it supports Bolt. 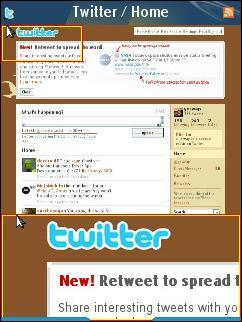 Dolfine Browser is the best i have used so far. With all the advance features one can think about. The Dolphin Browser blows Bolt out of the water on Android, at the moment. 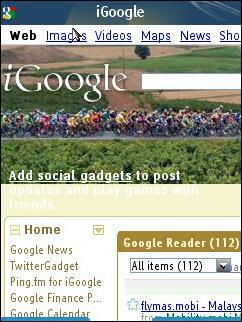 It includes all the features mentioned, as well as pinch zoom (multi-touch zooom in and out via pinching like on the iPhone), smooth tabbed browsing (tabs at the top of the screen or hidden, with menu access to a tabbed page browser), read it later (temporary bookmarking, popular on Firefox), Delicious bookmark support (online bookmarking, access to yours and global Delicious bookmarks), native bookmark support, gestures, social media integration, and decent UI customization. You’re definitely right about the default browser on Android 2.0 being not so hot, but there are alternatives. The one I’m enjoying the most right now is the Dolphin Browser. You’re also right about Bolt being the best on BlackBerry, although using both during the week I generally feel happier on the Dolphin Browser.